1. Lantau Peak is the second highest peak (934m or 3064 feet) in Hong Kong and the highest point on Lantau Island. It is well-known for the sunrise scenery viewed from the summit. 2. 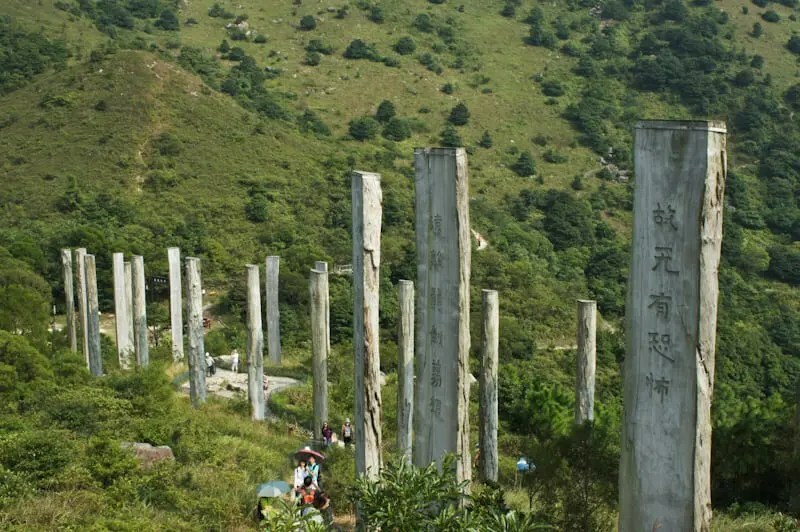 At the foot of Lantau Peak, you have a chance to see the largest outdoor wood carving in the world – The Wisdom Path with The Heart Sutra written on it. The Heart Sutra is a treasured text revered by Confucians, Buddhists and Taoists alike. It is written in a simple and concise manner, yet its message is truly profound. 3. At the end of the path is Tian Tan Buddha (Big Buddha), the second largest bronze Buddha in the world. 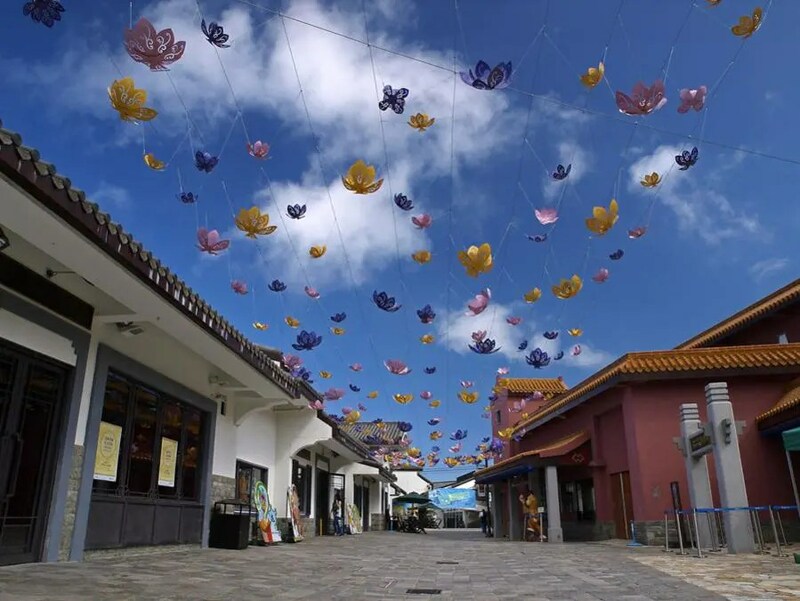 It is also one of the best-known scenic spot in Hong Kong. 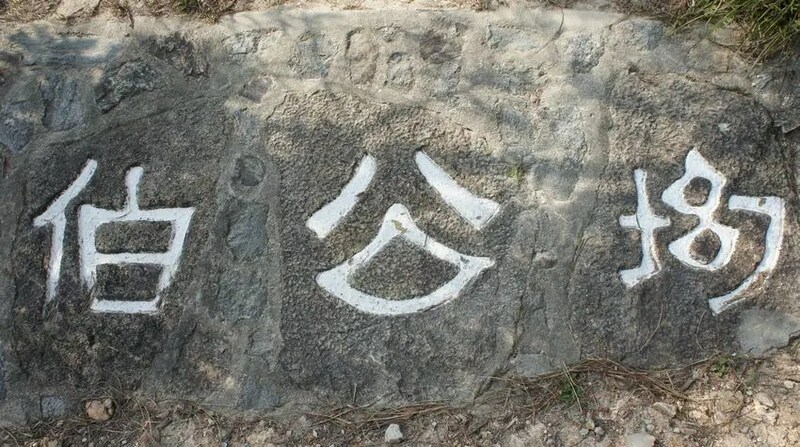 After you get off Bus 3M at Pak Kung Au stop, you won’t miss this sign “伯公坳“, which are written in 3 rocks. Pak Kung Au, a.k.a. 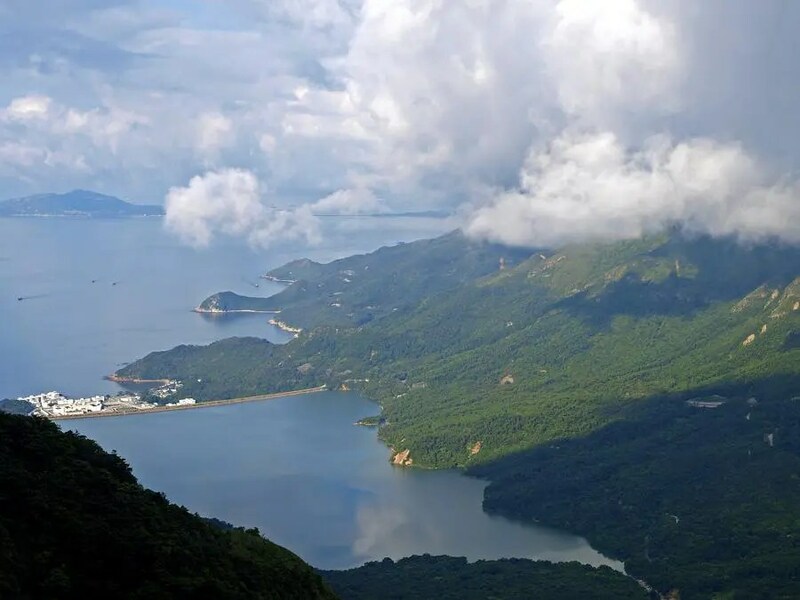 Tung Chung Au, is a mountain pass along Tung Chung Road on Lantau Island. 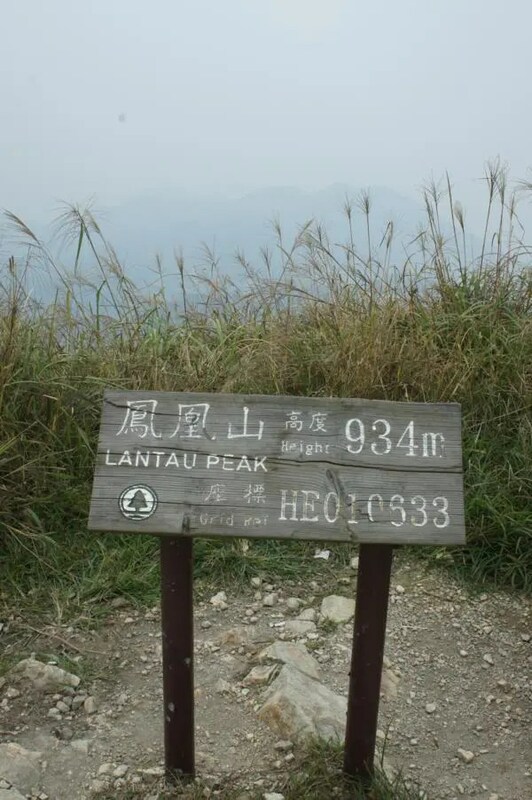 It is located at the end of Stage 2 and the start of Stage 3 of the Lantau Trail, between Sunset Peak and Lantau Peak. On your right is the starting point of Lantau Peak. On your left is the starting point of Sunset Peak. 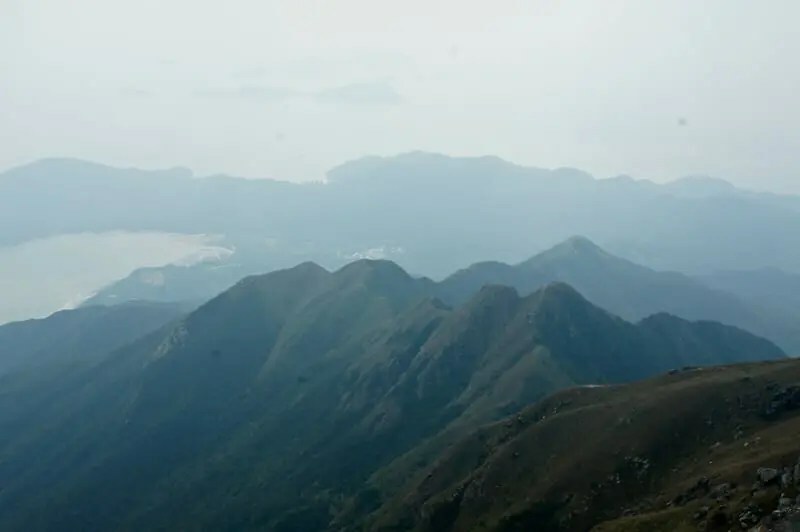 Lantau Peak and Sunset Peak are also called the Twin Peaks in Lantau Island. Suddenly, around a corner, the whole Lantau Peak is standing in front of you. At about 700 meters, you are at the well-known Nam Tin Mum. where you can see the ridges of Lantau Mountains outreaching from both sides. Over the ridge, one can see Tong Fuk Village beside the coast. 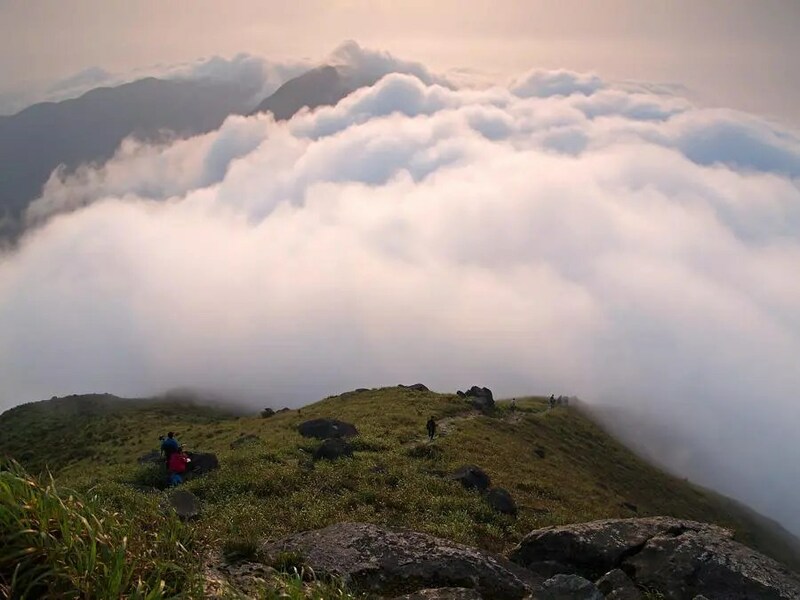 When you reach the peak of Lantau Peak, you are at the second highest point in Hong Kong. It is the time to descend. 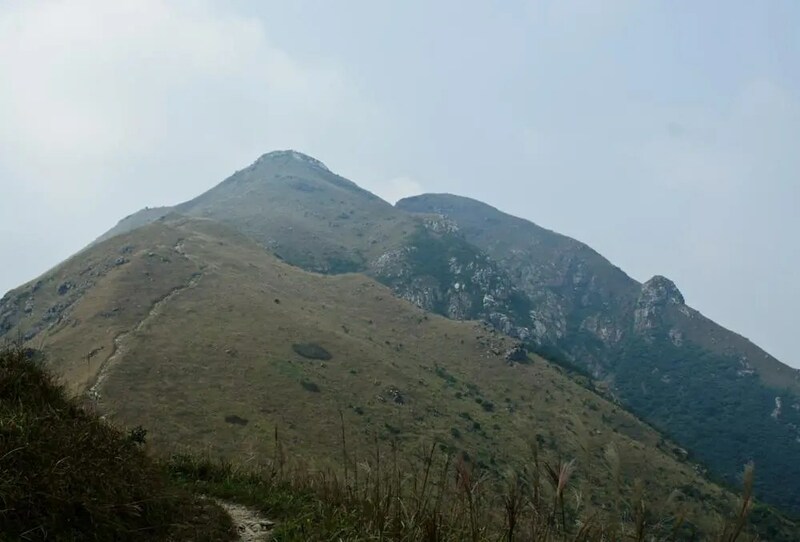 At the foot of Lantau Peak, you can see the well-known Wisdom Path. It was built in 2005 and it is 30 mins walk from the Buddha, so not tourist have the chance to see this great work. In order to reflect the profound wisdom of the Heart Sutra and to impose the two-dimensional calligraphy into a three-dimensional architecture naturally, the thirty-eight timber columns with inscription of the Heart Sutra have been arranged to correspond to the topography of the landscape, and in a figure-of-eight configuration (the symbol of infinty ∞) symbolising infinity. The column located at the highest point of the hill is left blank to suggest the concept of “emptiness” (Sunyata), a key theme in the Heart Sutra. 1. 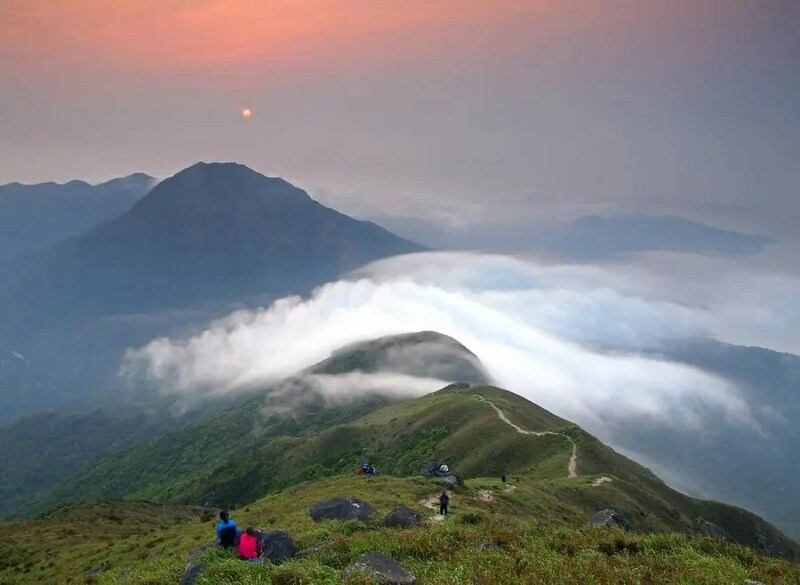 The peak of Lantau Peak is one of the best places to see sunrise in Hong Kong. Most hikers begin their climb from the Youth Hostel near Ngong Ping before dawn in order to catch a view of the sunrise. 2. New Lantao Bus company runs all the buses in Lantau Island. The bus fare is more expensive at weekends. If you go to Pak Kung Au by Bus 3M, tell the bus driver and you can pay section fare by cash. 3. There is no LCD or broadcast to show the bus stop in New Lantao buses. If you are going to Pak Kung Au, tell the bus driver to drop you off at that stop. 4. The route from Pak Kung Au to Lantau Peak and to Ngong Ping is actually on Lantau Trail Stage 3. Therefore, you can follow the Distance Post (L018 – L027) to finish the whole trail.